Max teleported Scuzzball outside of time and space here. Spargo took Ricky off to do a lot of drugs here; Ricky OD'ed and transcended this mortal world here. Check that second one out; it's maaaaaaybe my best looking page of Fuzzball & Scuzzball. 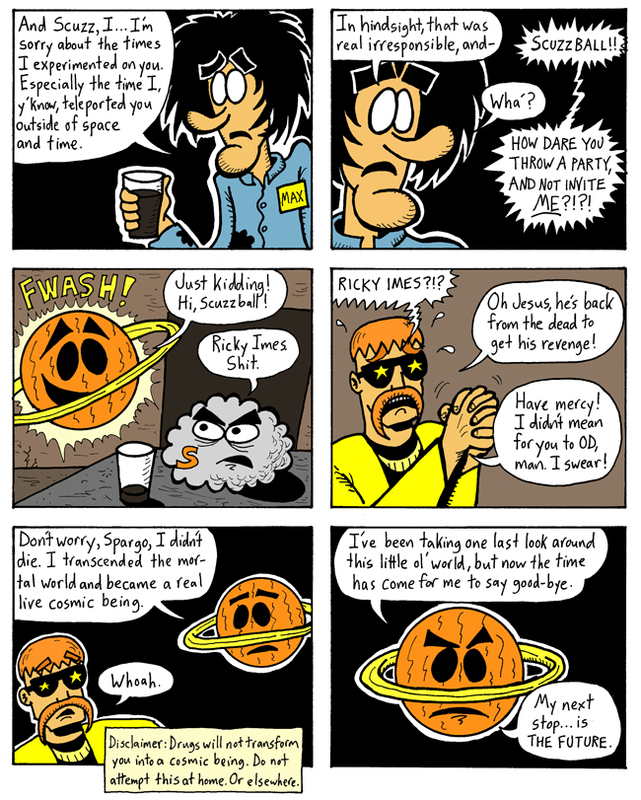 NEXT WEEK: Scuzzball & Ricky! TWO WEEKS FROM NOW: Fuzzball & Scuzzball, together again! Brought to you by Connor and French, also together again! Miss it not!